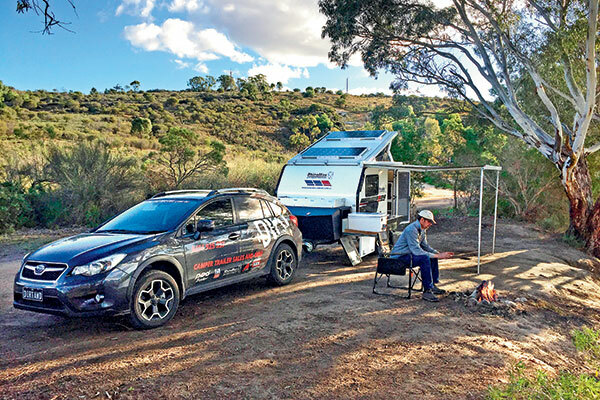 For some, upgrading from a camper trailer to a caravan is like stepping into the great unknown, as you have no idea how it will affect your touring experience. Will it affect where I can go? What impact will it have on towability? What will it add to my fuel costs? These are all common questions. Many people fear change, it is a natural human reaction, after all. So I thought I’d dig a little deeper into these questions and reflect on my own experience. We’ll assume your vehicle can legally and safely tow your new caravan. Starting with the bleeding obvious, a caravan is physically larger and heavier than a camper trailer. It will take longer to accelerate and will require more road to stop when it comes time to hauling on the anchors. To offset this variance, bigger caravans have better brakes and will often trundle along at lower speeds on the highway. A hybrid, a cross between a camper trailer and a caravan, may be a better solution for those seeking a modest upsize. These generally run on a single axle and are no wider than the towing vehicle, reducing their size, weight and feel behind the vehicle. In my own experience, the upgrade from a camper trailer to a hybrid wasn’t such a big deal. With our camper, we couldn’t see behind anyway, so the hybrid being marginally wider made little impact. The additional weight was only really noticed from a standstill. Additional fuel use was much less than expected considering we’d doubled our weight. It increased 10-15 per cent, which didn’t seem a big ask, all things considered. The upgrade to hard walls from canvas was a huge gain. Simple setup, better protection from the elements, improved security and much improved comfort. And for a longer trip, such as our big lap, that extra space and comfort made all the difference, particularly when it came to escaping the insects in the early evening. A hybrid or bigger caravan will have an impact on where you can store it. Garages and carports on many new homes are very restrictive and you may need an alternative storage option. Anything other than the front of the house normally works okay and you can invest in a good caravan cover with extra padding in the right places. Will it affect where I can go? Well, that depends on the types of trips you do. If you like touring the Victorian High Country, in particular, tight mountain tracks barely the width of the car, then clearly it will. 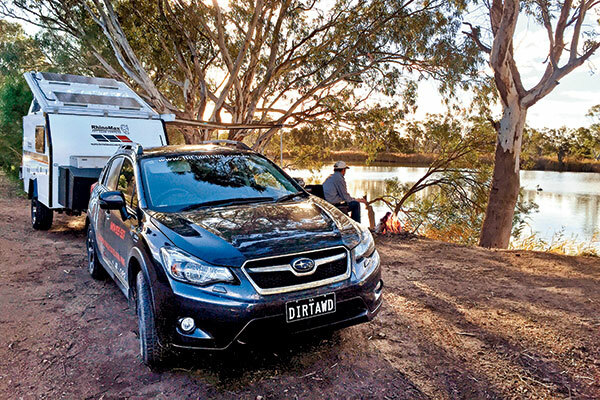 But if your touring is largely mainstream coastal tourist spots or, in the case of an offroad rig, more open touring routes such as the Gibb River Road, back road national parks or the mainstream desert tracks like the Oodnadatta Track, then it will have little impact. By and large, the upgrade to a single axle caravan/hybrid from a camper trailer is of little variation, at least from my own experience. While size and weight are the biggest variations, an experienced driver will adapt quickly.